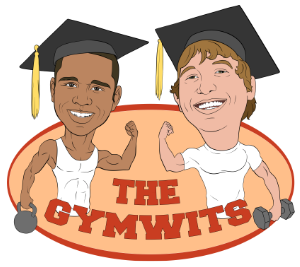 The GymWits Podcast is a discussion of all things fitness. At their core, the GymWits are about making health and fitness accessible to everyone. The fitness industry is plagued by myths, misinformation and snake oil salesmen and the GymWits are here to help parse through the noise to share information that’s real and actionable. Hosted by childhood best friends Ryan George and Justin Gild as well as Nutrition expert Toni Marinucci, the GymWits combine research, extensive experience, humor, philosophy and a down to earth approach. The GymWits Podcast is meant for anyone from those beginning their journey to health and fitness, to the seasoned fitness pro.